Austin Seferian-Jenkins: Versatile or just hard to say? Comments Off on Austin Seferian-Jenkins: Versatile or just hard to say? 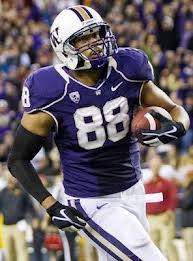 The next talented rookie tight end I wanted to discuss is Washington’s Austin Seferian-Jenkins (or simply just “ASJ”). He has a stress fracture in his foot that has prevented him from working out after the season, but he did measure in at 6’ 5” 262 lbs. 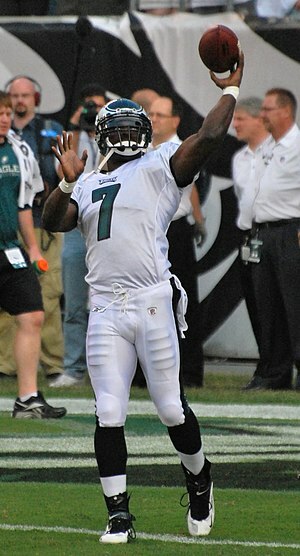 and recently ran a 4.56 40 yard dash for the Ravens. 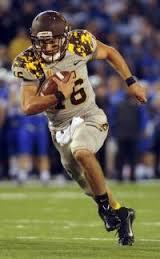 To get a better feel of his abilities/talents versus the rest of his class, I watched three 2013 games against California, Brigham Young, and Stanford as well as three 2012 games versus Utah, LSU, and USC. After watching Twitter and the internet since returning from Mobile, there is a consensus of people’s opinions on the so-called best NFL Draft and fantasy prospects. Much of their talents get debated over and over. I want to take a few articles to discuss the “undiscovered country” These are the players that have talent, but maybe play in smaller schools or are just less publicized than a Teddy Bridgewater, Carlos Hyde, Sammy Watkins, etc. Now it’s time to turn our attention to the 2014 tight end class. 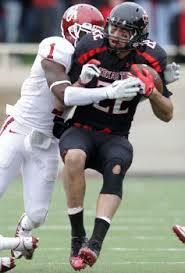 The best “Joker” candidate is Texas Tech’s Jace Amaro. The young tight end measured at 6’ 5 ¾” 265 lbs., and had a decent 40 time of 4.74. I will first define the difference between a traditional tight end and a “joker’ tight end. The Joker will line up everywhere in the formation that can give him an edge to get a free release, so this could be in the back field, slot, or split out on the line of scrimmage. This position is not asked to block for very long or often. Two examples of Joker tight ends are Jimmy Graham and former New England tight end Aaron Hernandez. 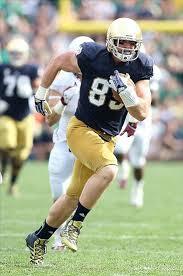 The next rookie tight end I want to discuss is the underrated Notre Dame Golden Domer Troy Niklas. In recent years, his college has pumped out some good NFL tight end talent in the Bengals’ Tyler Eifert and the Viking’s Kyle Rudolph. After watching five of his 2013 games against Michigan, USC, Rutgers, Temple, and Arizona State, I think that not only is Niklas the best tight end prospect of the three, but he is also the most complete tight end. There are a lot of things that are impressive about this young man as he measured in at 6’ 6” 270 lbs. and ran a respectable 40 yard dash time of 4.80. The tight end is also cousins with all-pro linebacker Clay Matthews III. Eric Ebron: Is he the real deal? Comments Off on Eric Ebron: Is he the real deal? 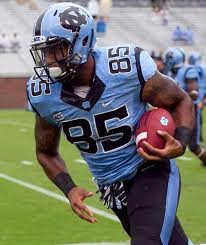 As far as complete tight end prospects go, you can’t get better than North Carolina’s Eric Ebron. He is one of the most versatile players in his class. It would be easier to name the places I didn’t see him line up (quarterback and the five interior linemen spots) than where he did. The great thing about this tight end is that he fits every offensive scheme and will see the field immediately wherever he lands. 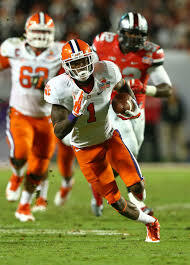 Ebron impressed at the Combine measuring at 6’ 4” 250 lbs., and ran a quick 4.6 40 yard dash. 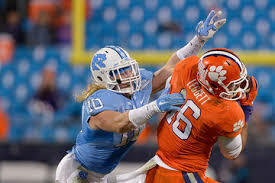 To get a better idea of his skill set, I watched five of his 2013 games against Virginia Tech, Georgia Tech, Duke, Miami, and East Carolina to get a better feel of what he will bring to the NFL. After the former Denver Head Coach Josh McDaniels was hired as the new St. Louis Offensive Coordinator, it was just a matter of time before he wanted to use what his first NFL team, the New England Patriots, had discovered…”In the Tight End(s) we trust.” Rob Gronkowski and Aaron Hernandez were used well by his former Patriots last year and McDaniels took notice. QB Sam Bradford was very successful in his rookie season using wide receivers and running backs, so McDaniels decided to build on that with a TE target similar to what he had at Oklahoma (Jermaine Gresham) with the move TE Lance Kendricks.